One of the most challenging motor racing in the world, Dakar  will begin on January 4 and will tour three Latin American countries: Argentina, Chile and Bolivia during 13 days. 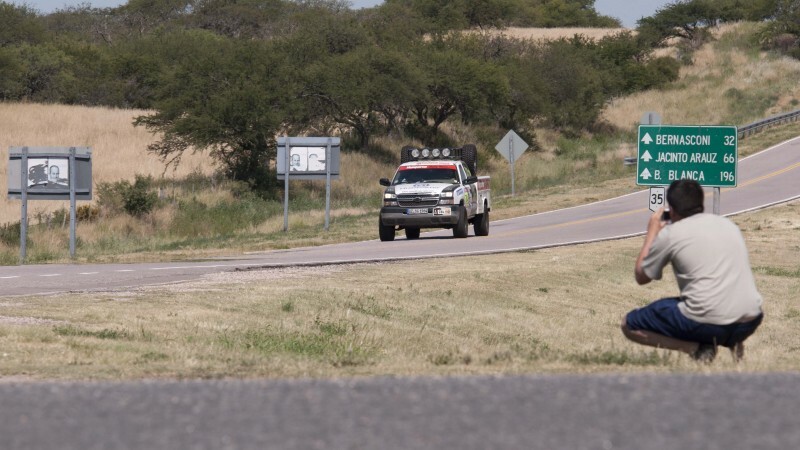 2015 edition will start from Buenos Aires on the 4th and will and will cross cities like Villa Carlos Paz , San Juan , Chilecito  and heading through the Andean Montains to reach Copiapó  in Chile, Antofagasta  and Iquique . After that, the road splits to Uyuni , in Bolivia. The difference with 2014 edition is that Peru will not be part of the road. Since year 2009, the competition develops in Latin America after the killings of four french citizens and three mauritanians military personnel in 2008. Finally a little relaxation. These previous days have been crazy with the final preparations before boarding the car at Le Havre. A total of 645 vehicles have successfully passed scrutineering of rigor including all our vehicles, now we can say we are going up to the adventure. You can follow all the news about #Dakar2015  through the organizers web page .